Despite the waves of political unrest, some 8 million tourists visit Egypt every year to take in such amazing sites as the Great Sphinx. Therefore, when the listener stats come in for episode 146 of the show, iMagic’s RIDDLE OF SPHINX, we’re expecting similar numbers. That’s reasonable, right? Anyway, as the son of the Prince of Egypt, you are the ultimate tourist striving to get in line ahead of death god Anubis at the funnel cake stand. Or something. Atari Bytes show notes and oh, so much more. Thanks to Mike Mann for his “Mad Mike Hughes Theme”. Please consider supporting the production costs for Atari Bytes by joining the Patreon. You can do that here. Thanks in advance! 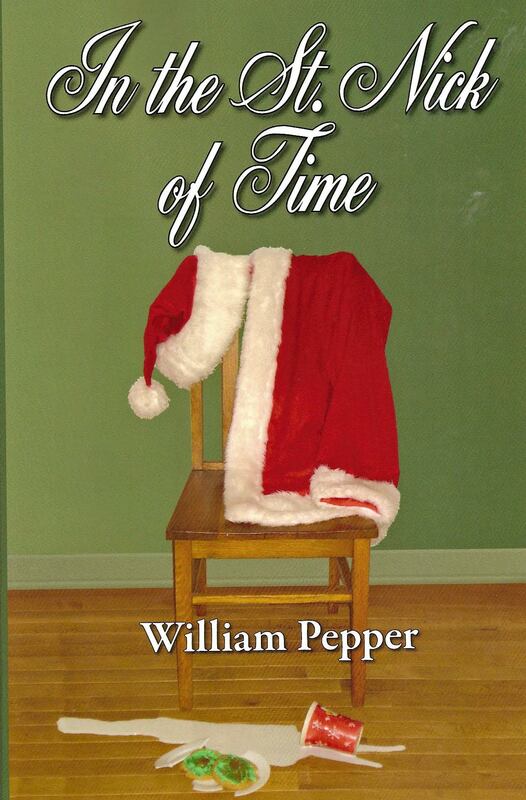 Here is one of the places you can pick up IN THE ST. NICK OF TIME, my holiday Santa Claus story for adults. If the universe encompasses everything we know, but the universe is also expanding, WHAT is it expanding into? Mallory said he climbed Mt. Everest simply because it is there. What the hell does that mean? That second wondering is prompted by this week’s mountain climbing game SPIKE’S PEAK, Xonox, 1983. It was hard getting hold of this one. A cadre of strong men put all their effort into turning the double ender cartridge we played “Ghost Manor” on last week around so that we could play SPIKE’S PEAK. We’re exhausted. You’re welcome. Thanks to Kevin McLeod at Incompetech.com for creative commons use of his songs “Take a Chance”, “Pinball Spring”, and “Reformat”. Thanks to Mike Mann for our “Mad Mike Hughes” update theme. The Atari Bytes Patreon page is here. If you can donate to the show, we thank you in advance. We scare ourselves silly* with the 1983 Xonox title GHOST MANOR. Thanks to Mike Mann for his “Mad Mike” update theme. Atari Bytes show notes and what not. The Atari Bytes Patreon page is here. This week on episode 143, we get a demonstration of what happens when you title a game by smashing two words together to create a third word. This week’s game is ASTROBLAST, an unholy union of “astronomy” or “astronomical” and “blast”. Personally, I thing “Astronomical Blast” is just as, if not more, inviting a game title as Astroblast, by M Network in 1982 never asked me. The title is enough to tell us this game is about blasting things wherever astronomy is. That probably means space! And that is awfully fun. So is this week’s original short story! So much goodness in one podcast episode. The Atari Bytes Patreon page can be found here. Please consider donating. Thanks in advance. In “Ghostbusters”, Rick Moranis told Sigourney Weaver he was the key master. Well, cool as Rick was, he’s got nothing on you, my friend. For, with a little luck, you can be the STARMASTER. This week, we’re playing the 1982 Activision game STARMASTER. Anyone can wish upon a star. Catch a falling star. See stars if you smack your head on the game console after passing your eighteenth straight hour of Pitfall II. But only the elite listener of this podcast can attain the rank of STARMASTER. Good luck. Thanks to Mike Mann for his “Mad Mike Theme”. It’s a Podcast, Charlie Brown – Hey! That’s my other show. Everything you wanted to know about the Peanuts strip, animation, the mind of cartoonist Charles Schulz, and the strip’s place in the universe. You got to know when to hold ’em. Know when to fold ’em. Know when to walk away. Know when to run. Then prepare to get laughed at and possibly shot by the dudes you’re playing with at the Old West saloon, because we’re not playing poker on episode 141 of the podcast, we’re playing BLACKJACK. This 1977 title from Atari is one of the original nine the company released with this new-fangled devil-machine unleased on the unsuspecting masses who’d only just recovered from the mind scramble that was pong. After the cards are dealt, we have a short story inspired by the sweet science of blackjacking. Or whatever. Thanks to Mike Mann for his Mad Mike Hughes theme. Atari Bytes – our site with all our episodes, show notes, social media and what not. It’s a Podcast, Charlie Brown – Hey, Peanuts fans (and you know you are), here’s my other podcast. On the 15th of every month, dive deep into the lore of the strips, the TV specials, the movies, the mind of cartoonist Charles Schulz itself. Please consider supporting the show financially to keep the lights on here at the studio. You can do that at our Patreon page here. Thanks. This week’s episode is dedicated to tennis great Serena Williams, who was beaten recently by a young upstart. Serena, if you’re listening (and reading those show notes), you are welcome to come play TENNIS from Activision with me anytime. I assure you, you will have no trouble beating me. That’s right, in episode 140, we’re playing the 1981 Activision (squee!) game TENNIS. “What’s this one about?” you ask. Then I ignore you because, really, that should be self-evident. Atari Bytes – show notes, episodes, social media and more. Please consider support the show on our Patreon page which you can do here. “Wouldn’t you rather play a nice game of chess?” – Joshua, the WOPR US defense computer, speaking to Matthew Broderick in “Wargames”. “Life moves pretty fast. If you don’t stop and look around once in a while, you could miss it.” – Matthew Broderick, though I think that was in a different movie. Anyway, this week, we’re playing the 1979 Atari stalwart VIDEO CHESS. You thought you knew chess, but you haven’t lived until you’ve seen rooks and bishops and whatnot rendered in digital form. It’s gonna get CRRRAZZY up in here! How can I ever make a story from this game? No, seriously. HOW? Thanks to Mike Mann for his “Mad Mike” theme. Patreon – Please consider supporting the show on our Patreon page to help us keep the pod-lights shining. Sometimes, the setups for these blurbs write themselves. This week’s game is Atari’s 1988 offering for the 7800 console CRACK’ED. Join us to find out if this game is all it’s CRACKED up to be. Low-hanging fruit, friends. Or low hanging eggs, we should say. And we have to protect them from snakes and relentless birds. Seriously, Hitchcock’s movie “The Birds” has nothing on this game. And why are the eggs in the trees? And in the sewer? And UNDER THE FLIPPIN’ SEA FOR CRYING OUT LOUD??? So many questions, so little time. We’ll ignore most of them and instead, make lots of egg-related puns. It would be egg-cellent if you joined us! Thanks to Kevin McLeod at Incompetech.com for creative commons use of his songs “Take a Chance”, “Reformat”, and “Pinball Spring”. Thanks also to Mike Mann for his “Mad Mike” Hughes theme. Atari Bytes – show notes, social media and more. It’s a Podcast, Charlie Brown – Hey! That’s my Snoopy intensive podcast. Climb inside the doghouse full of strips, TV specials, merchandise, the very mind of Charles Schulz himself. The Atari Bytes Patreon page is out there, should you be inclined to financially support this show. Thanks in advance. **The podcast is mostly just tolerated. We’re playing the 1987 Atari 7800 port of Namco’s legendary GALAGA. The. Best. Game. Ever. Okay, that’s debatable, but as much as has been said about the virtues (and some deficits) of the game, has anyone ever speculated about what was ticking off the Galagan Fleet? What it was like to be drafted into the Intergalactic Warrior Fleet? No. No. They haven’t. Until now. So jump into your flight suit, squirt some space meatloaf into your maw and strap in for the space battle of all space battles. It’s a Podcast, Charlie Brown – Get a monthly feast of all things Snoopy, Charlie Brown and Charles Schulz himself. You can donate to the Atari Bytes Patreon page here. The Atari Bytes Zazzle merch store is still up should you wish to partake here.